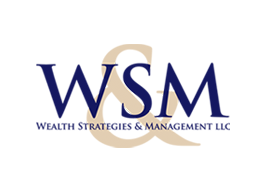 At Wealth Strategies & Management LLC (WS&M), we seek to educate our clients – whether institutional or private – about how best to achieve their goals and objectives in a clear and concise way utilizing a holistic approach to the financial industry. The number of clients serviced at WS&M is intentionally limited so that one-on-one client relationships can be nurtured and personalized customer service can be maintained. Our financial professionals guide clients so they feel confident in the strategic management of their assets, moving them forward in terms of long-term financial security. WS&M’s professionals work closely with the clients’ other key advisors including legal counsel, financial advisors, board of directors, CPAs, and insurance agents in order to obtain the clients stated objectives across all components of their portfolio. In the end, choosing WS&M to assist you means choosing a partner focused on your long-term fiscal well-being and complete financial peace of mind.